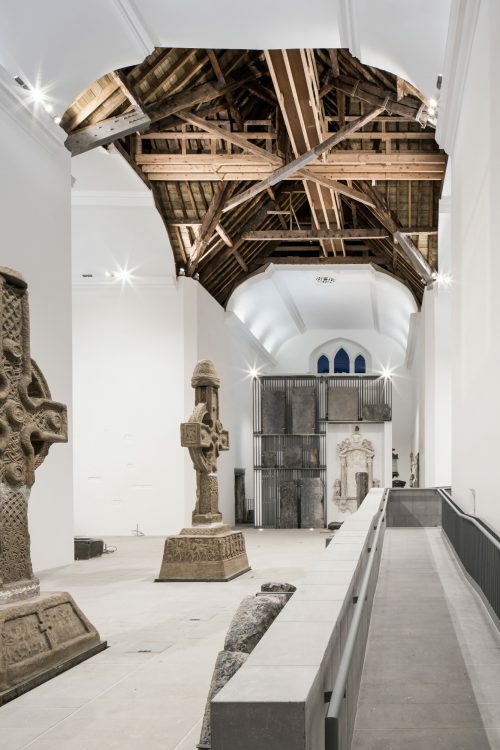 The European Commission and the Fundació Mies van der Rohe announced the Medieval Mile Museum among the list of nominated works for the 2019 European Union Prize for Contemporary Architecture – Mies van der Rohe Award. The Medieval Mile Museum is housed in the converted St. Mary's Church in Kilkenny. The building houses the city’s Civic Treasures and displays many important carved limestone tombs and funerary monuments from the Middle Ages to the 20th century. The project combines sensitive restoration and contemporary design to an exemplary standard.